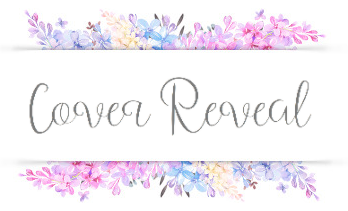 Brittany's Book Rambles: Devils Unto Dust: Cover Reveal! Excerpt! ARC Giveaway! Devils Unto Dust: Cover Reveal! Excerpt! ARC Giveaway! 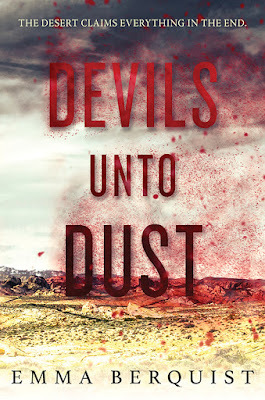 Hey guys, today I have the pleasure of revealing the cover for Emma Berquist's debut novel Devils Unto Dust! In addition, there is also a mini interview with Emma as well as an excerpt from the book. 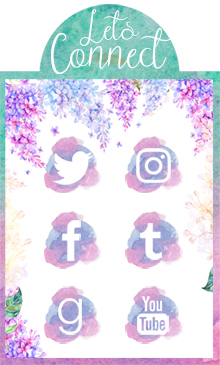 But first, the cover . 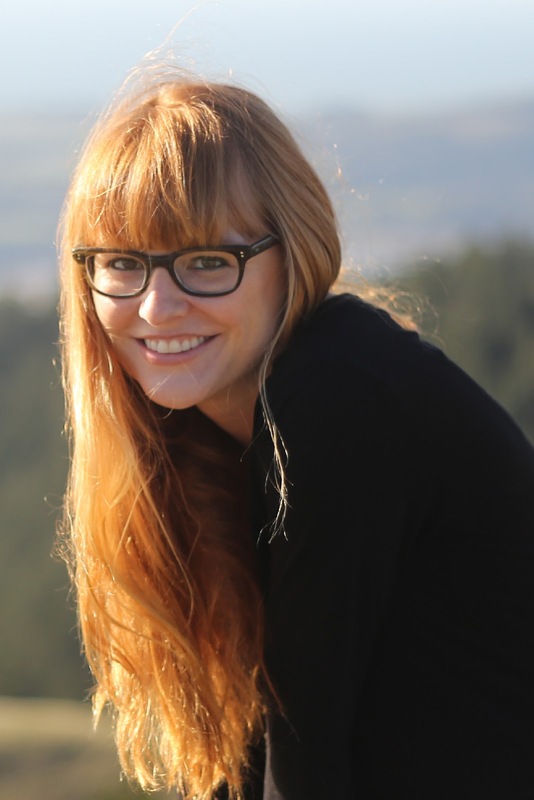 . .
Emma Berquist grew up in Austin, Texas and sunburns easily. She currently lives in northern California and avoids the beach. DEVILS UNTO DUST is her first novel. What can your readers expect from Devils Unto Dust? Lots of sand and lots of blood. Rough men with guns and hard girls with everything to lose. I wanted to create a world that was terrifying and inescapable, long before the monsters start to show up. What was your inspiration for Devils Unto Dust? Did the plot of the story come to you first or the characters? The setting came to me first. I was out in the desert slathered in sunscreen and I thought “there’s nowhere to hide out here.” And just like that, I had a place for a story. After the desert came Willie, and after that came the rest of it. What are some of your favorite zombie books, movies, and TV shows? 28 Days Later, World War Z (the book), Shaun of the Dead, Walking Dead graphic novels, Night of the Living Dead, old Bernie Wrightson comics, iZombie, and Resident Evil (yes, I’ve seen all of them). Which of your characters do you identify with the most, and why? I think I couldn’t help but put a little bit of myself into Willie. I’m definitely stubborn and generally kind of surly like her, though I’m nowhere near as tough. I mostly see myself in the shakes, because there’s no way in hell I would ever survive any kind of disaster. What's next for you once Devils Unto Dust is out in the world? Is there a sequel in the works or will you be writing something completely new? I’m not sure yet! I have ideas for a sequel, but I have other stories I want to tell and I’ve never been able to stick to one genre. Life out here is hard, my mother used to say, so you have to be harder. Even she wasn’t strong enough to fight off the sickness. By the end she was just a shell of herself, her skull showing through the skin on her face, talking nonsense when the delirium took her. Sometimes she didn’t know who I was or what was happening. And then she remembered, and it was even worse. She lasted longer than most do. It doesn’t really matter, it didn’t make a difference, but I like to think it means something. That she was fighting to stay with us. That her life wasn’t wasted, digging into this patch of nowhere. I love the desert, love the hidden beauty of it. When the light falls just so and the heat shimmers off the ground, the desert is as graceful and endless as the sky. I love the way the ground cracks open under my feet, the fissures spreading out like veins in a shattered mirror. The air so hot it burns your lungs, the dust collecting in the corners of your eyes, the sand whipping against your skin until it’s raw; this is my home, and it is beautiful. If I could, I would turn my back on this town and start walking, leaving behind the unbearable weight. But I know better than that; the desert may have my heart, but this town will take my bones. Glory, our town is called, for no other reason than irony. People here are bad at naming things, even my own parents. Daisies don’t grow here, not in this hardscrabble dirt. Not that anyone calls me Daisy, not since I was old enough to know better. The name does not suit me; it is bright and yellow and sweet, and I am none of those things. And Glory is dead as sun-bleached bone and twice as cursed. Maybe it was different when people first settled here, before the sickness started to spread; maybe it wasn’t always a sandy hole of a town, but that’s all I’ve ever known it to be. Those who could afford to got out quickly, leaving the rest of us to whatever fate we deserve. There’s nothing standing between us and the desert shakes but some barbed wire and the men who hunt the sick. It’s only a matter of time before this town crumbles into dust. When the sick finally outnumber the healthy, we’ll all be as dead as my mother. Or worse. *Important* Note: ARCs have not been printed yet, but as soon as they are availabe, the winner of this giveaway will be one of the very first to receive it! I'm so glad you're excited about this! This book sounds absolutely amazing!!!!! AHHHHHH!!! This book is on my TBR and sounds like it will be a page-turning read to keep me up way too late. I love this idea and POV character. Sounds like Devils Unto Dust is perfect for you! Then this is the perfect book for you! I'm so glad you like the cover, thanks for stopping by! Oooh how interesting! Sounds very different from what I normally read, but I am totally on board! Glad to hear it, I hope you love it! Glad I could put it on your radar, thanks for stopping by! Just put it on my TBR! It sounds promising! And the review is great. I can't wait to read it! This one looks so good. Thanks for bringing this one to my attention! Great interview as well! My pleasure, I'm glad you enjoyed this post. I hope it's on your TBR! I didn't realize this one was kind of historical! Now I'm definitely intrigued and wanting to read it! Thanks so much for sharing this with us! No problem, I'm always happy to put books on readers' radar! Thanks for stopping by!